As rising levels of mercury in the environment pose an increasing threat of toxicity to humans and wildlife, several laws already call for industries to reduce mercury emissions at the source. Ecosystem Responses to Mercury Contamination: Indicators of Change outlines the infrastructure and methods needed to measure, monitor, and regulate the concentration of mercury present in the environment. This book draws on the knowledge of forty international experts in the fields of atmospheric transport and deposition, mercury cycling in terrestrial and aquatic ecosystems, and mercury bioaccumulation in aquatic foodwebs and wildlife. 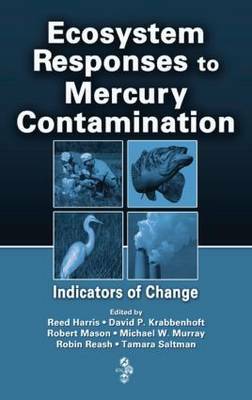 The authors propose a set of indicators to use as a measure of changing mercury concentrations in the environment. Next, they recommend a monitoring strategy and offer guidance for determining systematic changes in concentration. Then the authors examine additional monitoring strategies to relate observed changes in concentration to regulatory controls on mercury emissions. The final chapter provides an integrated framework for establishing a national-scale program to monitor mercury concentrations in the environment. Ecosystem Responses to Mercury Contamination: Indicators of Change contains the information needed to design a large-scale monitoring program for mercury and to use the concentration data to create, enforce, and evaluate the progress of initiatives aimed at reducing mercury emissions.